“During the holidays Tuckerton Lumber employees like to get into the holiday spirit by wearing unique and sometimes ”ugly“ sweaters. Back in 2017 one of our customers suggested we start a contest to see who had the ugliest sweater. We loved the idea so much that we decided to take it to the next level and start a fundraiser. For each vote cast, everyone could make a small donation of $1 and we would give back to an organization which is directly helping locals within the community. 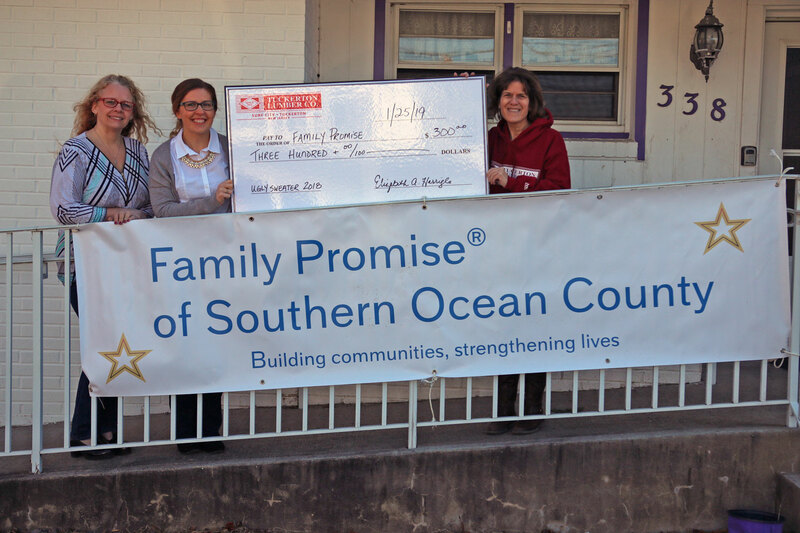 “We decided to select an organization that I was already familiar with, was well run and was legitimately helping those in need, and we chose Family Promise of Southern Ocean County. “We had a blast! It was so much fun, everyone would come in and study the sweaters and debate which was the ugliest sweater before casting their vote and making a donation,” said Elizabeth Harrigle, CFO at Tuckerton Lumber. How does Family Promise of Southern Ocean County carry out their mission? Who does Family Promise Serve? How can the community support Family Promise of Southern Ocean County?